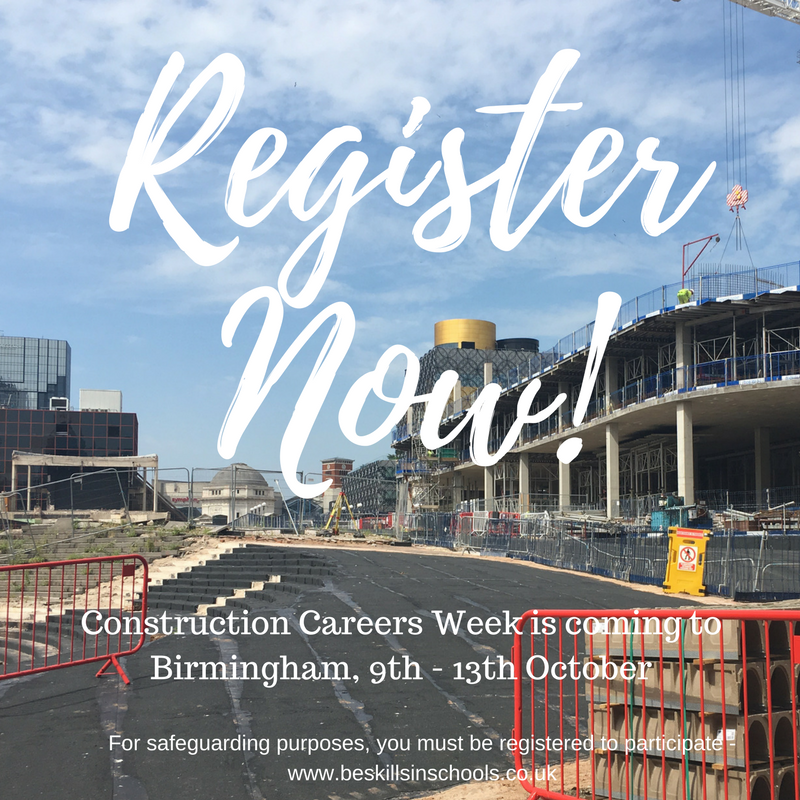 Construction Careers Week is open to all schools, colleges and universities across the greater Birmingham and Solihull region, and holding events for children comes with safeguarding responsibilities. 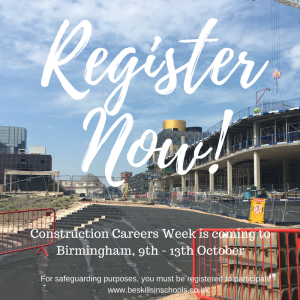 Because schoolchildren will be meeting employers face to face, spending time in offices, and generally learning all about careers in construction, we need to keep them safe. Not very taxing at all! And, once you’re registered, you can join us for the huge speed networking event at the NEC on October 11th, where employers and pupils get 2 minutes to decide whether they like what each other has to say!